“All these were the sons of Heman the king’s seer, according to the promise of God to exalt him; for God had given Heman fourteen sons and three daughters. 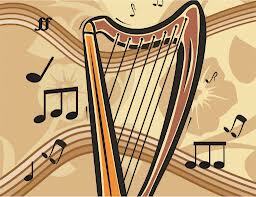 They were all under the direction of their father for the music in the house of the LORD with cymbals, harps, and lyres for the service of the house of God” (NRSV). But not all Bible translations accept this view. A few translations of these two verses exclude the three daughters from the prophetic ministry of music. Below is a sample of how some translations exclude the three daughters from participating in the music ministry of the temple. I will emphasize the sections in the verses where the translations differ. The NRSV translation says that “They were all under the direction of their father,” thus including the daughters in the music ministry of the temple. The whole issue is based on two different theological positions: the Egalitarian and Complementarian views of women in ancient Israel and in the church today. The Egalitarian position affirms that both men and women are created equal and that both share responsibility in having dominion over God’s creation. The Egalitarian position also affirms that although sin created a distortion of this mutuality, that the gospel of Jesus Christ has abolished this distortion and that now both men and women are equally called to serve God. The Complementarian position affirms that “Israel’s political and religious structures exhibit an almost exclusively male leadership, and this by God’s calling and command.” Therefore, since God has set apart men to hold political and religious leadership in Israel, it is evident to those who hold this position that the three daughters of Heman were not part of the music ministry of the temple. The commentaries on the book of Chronicles take different positions on this issue. Ralph Klein in his commentary of Chronicles wrote: “The three daughters seem irrelevant in a description of Heman as the father of singers unless it hints that there were also female singers in the temple” (2006:482). On the other hand, Knoppers, in his commentary on Chronicles wrote: “Each of the fourteen sons [of Heman] is mentioned, but the three daughters go unnamed. Nevertheless, both sons and daughters sing at the Temple” (2004:850). There are several references in the Bible about women playing and singing in a cultic setting. These references are found in Exodus 15:20, Judges 11:34, 1 Samuel 18:6, and Jeremiah 31:4. Although most of these women appear in the early history of Israel, Carol Meyers has demonstrated that the absence of any mention of women musicians in the later period of Israel’s history is not evidence that women were not involved in the music of the temple (1991:25). Thus, the biblical evidence goes against the NIV and the HCSB in their view that the word “father” in 1 Chronicles 25:6 should be interpreted collectively in order to include Asaph, Heman, and Jeduthun and his sons and to exclude the three daughters of Heman from the music ministry of the temple. Personally, I believe that women were involved in many aspects of the religious life of Israel. Even though the Old Testament provides little information about these women, the absence of reference to their work is not to be assumed that women were not involved in many aspects of the religious life of Israel. Klein, Ralph W. 1 Chronicles. Hermeneia. Minneapolis: Fortress Press, 2006. Knoppers, Gary N. 1 Chronicles 10-29. The Anchor Bible. New York: Doubleday, 2004. Meyers, Carol. “Of Drums and Damsels: Women’s Performance in Ancient Israel.” Biblical Archaeologist 54 (1991): 16-27. This entry was posted in 1 Chronicles, Prophetess, Prophets, Women and tagged 1 Chronicles 25, Complementarian, Egalitarians, Music, Prophetesses, Women Prophets. Bookmark the permalink. Claude. I believe we also need to draw on Anna the prophetess who is a great example of an inter-testament prophetess. We have the record where she took Jesus into her arms and prophesied over him at the temple. While we don’t know what official part she took in the cultic worship there – it appears she was certainly tolerated / accepted by the religious leaders as she had been ministering there for a long time. I agree with you that Anna was a prophetess and that she probably had special relationship with the temple because, as Luke says, “she never left the temple.” The reason I did not mention Anna is because the focus of my studies are the women prophets of the Old Testament. I appreciate what you said in your comment. I have been enjoying your series heaps. You are welcome. Several people have written saying they are enjoying the series on women prophets.